Improving academic skills and practice. Increasing new students’ engagement with their programme. Enhancing students’ experience of University life. Helping students develop the skills they need to become effective independent learners. Improving grades and reducing student drop-out. Improves students’ study skills and enables them to become independent learners. Students adjust quickly to the demands of university and improve their confidence. 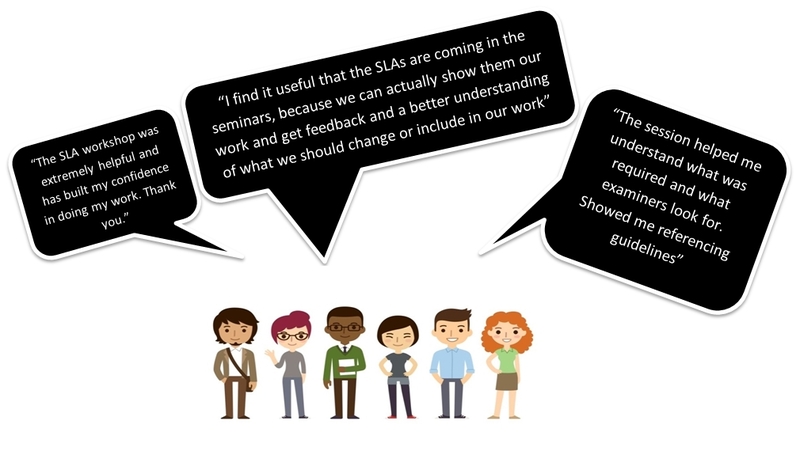 SLAs motivate students and guide them through the learning process. Students feel comfortable asking questions about their programmes and modules. Provides opportunity for feedback to academics. What students said about their experience?